I used to think that shavasna was a cop-out pose, the liturgical lie-down at the end of a yoga session that was for the old ladies who really didn’t have the physical acuity left in them anymore. Maybe I’m one of those old ladies now, but I’ve discovered shavasna to truly be not only the most important yoga pose, but a truly vital life-pose as well. Part of the point of yoga (part of the point of liturgy!) is to mimic parts of our everyday lives, that our bodies, minds, and spirits might learn to respond differently when faced with stressors or with joys. 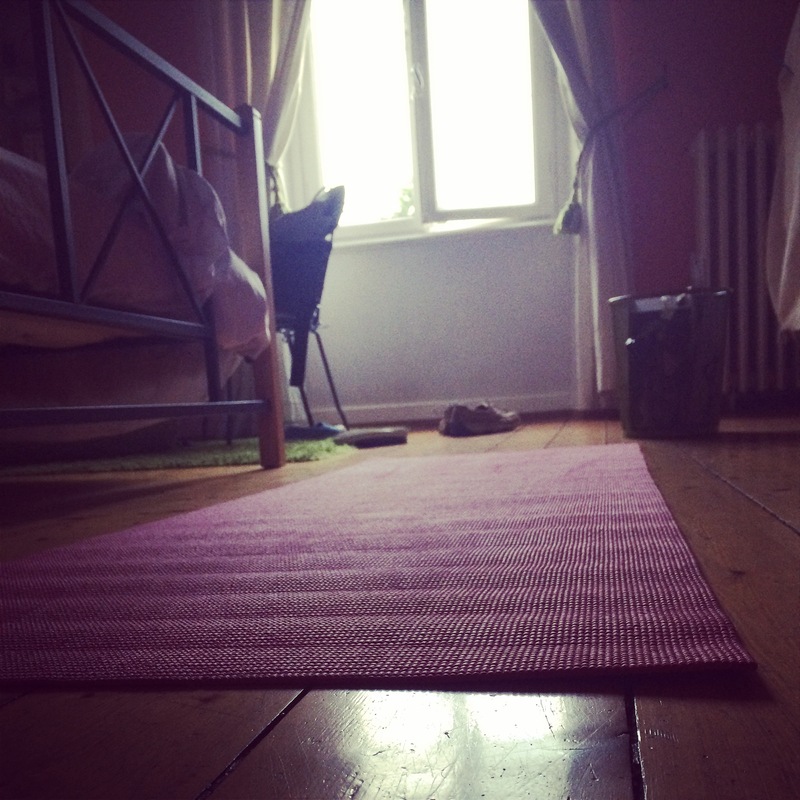 My body gets itchy for downward dog and plank when in the midst of a rough day at the office (I’m notorious for popping down onto the carpet for some relief). Shavasna, in English–corpse pose, lying on your back with arms and legs extended naturally, is the end of every yoga sequence and the time when the body absorbs all the energy, air, life, strength, and stretching that you’ve been pushing around in it for the last hour or so. I imagine it like a tres leche cake–the spongy cake soaking up all the milk and cream that is poured over it. Our bodies are like spongy cake, letting the goodness we’ve cultivated through stretching our bodies fill up our bodies and stick around our souls. “Reflection upon experiences is when wisdom comes.” Instead of just grabbing and gathering experiences–stuffing them into our life-rucksacks, we need to sit down and process them both consciously and unconsciously before we can really benefit from the thing we’ve been through. In less-grand parlance, taking a few minutes to gather thoughts after a meeting, or to think back through a day to the emails you’d promised and the epiphanies you’d had, can both keep your life on track and serve as a great boost–remembering all those things that your day entailed, accomplished, and surprised you with. Too often, I tell myself I’ll recap later, I’ll remember later, and I’ll consider it later. You won’t be surprised to hear: I don’t. Mostly, I don’t remember the details and nuances of the meeting or lunch, sometimes I just don’t remember anything at all. These moments are given to us as a gift, and to devote even more time to them–just a few minutes at the end of a day–gives them honor, cements the good in our mind, and perhaps even makes us better at replying to emails and keeping our promises. Shavasna is our body’s reflection on its hard work; our minds, hearts, and souls deserve and demand the same–in our work and in our lives. This entry was posted in prayer, spirit and tagged yoga by Emily. Bookmark the permalink.